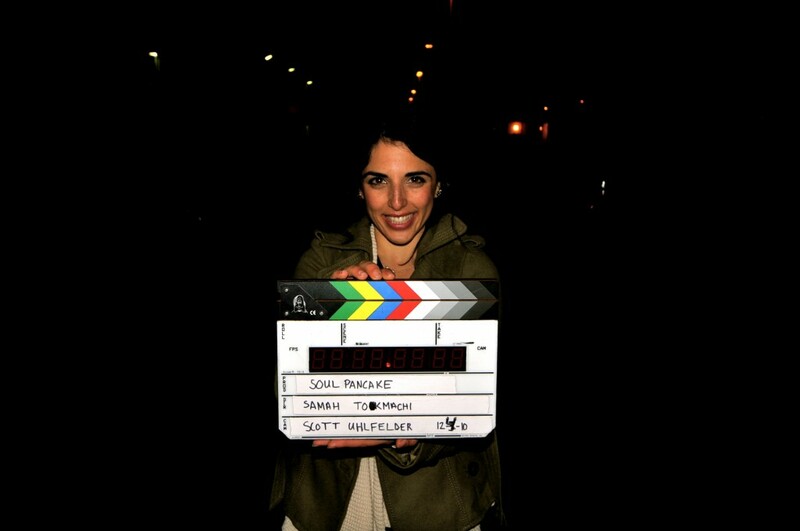 on the last day of shooting i got to hold the clapper. and then i made ramsey, the sound guy, take a photo of me. you can see more teeth in this photo than total hours of sleep we had during the entire shoot.